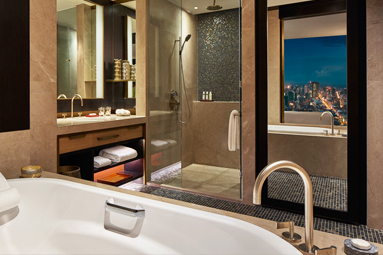 The first ultra-luxury hotel in city, located on the top 14 floors of Vattanac Capital Tower. Prominently located in the heart of the capital’s central business district, with easy access to explore the capital’s historic sites, including the Royal Palace, National Museum and Wat Phnom. 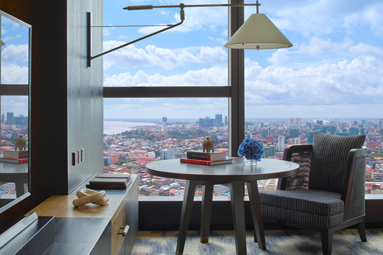 The rooms and suites are amongst the largest hotel guestrooms in Phnom Penh, offering a panoramic view of the city and the fabled Mekong River from its position within the tallest building in the capital. 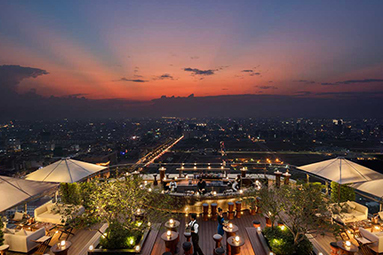 Five restaurants and lounges including Sora a sky bar on a cantilevered terrace. Brasserie Louis; serving traditional French cuisine and Khmer favorites. 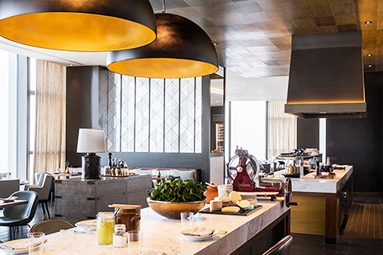 The Living room; all day dinning for pastry, light snacks and drinks. Iza; serving casual Japanese while Cuts & Dinning Suites, meat and seafood fine-dining restaurant. Highest sky bar in the city, which will undoubtedly become the city’s most sought-after tourist attraction. Convenient facilities including a 24-hour fitness center, spa, and indoor lap swimming pool; all located within the same floor. 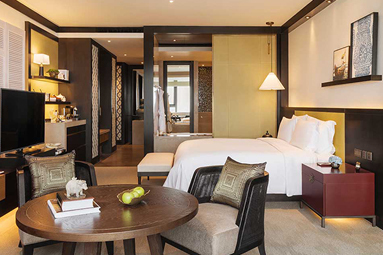 Rosewood Phnom Penh presents an ultra-luxury hospitality experience in the Cambodian capital. The hotel is located on the top 14 floors of Vattanac Capital Tower in the central business district with unobstructed views of the city and the fabled Mekong River from its position within the tallest building in Phnom Penh. 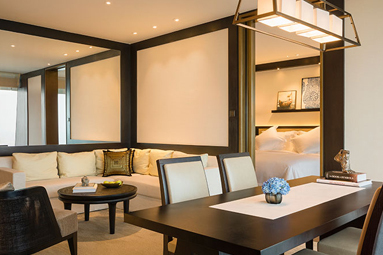 The hotel features 175 rooms and suites; five restaurants and lounges including SORA, a sky bar on a cantilevered terrace; Sense, A Rosewood Spa, a 24-hour fitness center, indoor pool, and meeting facilities which include The Pavilion residential-style meeting and function space. 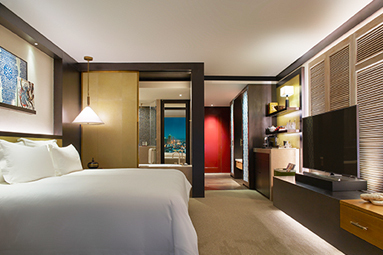 Business, Luxury, Lifestyle, Art lovers, Shopping, Party, New Hotel, Family.